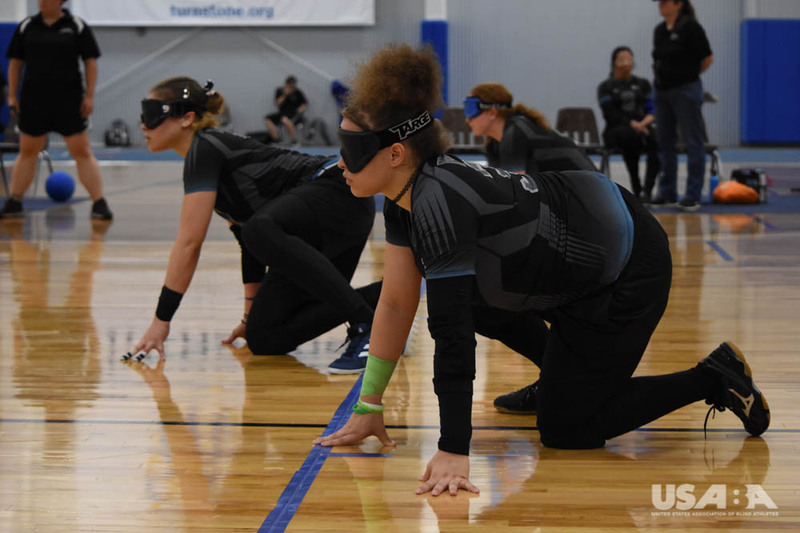 Twenty-one teams from across the country traveled to Fort Wayne, Indiana, for the 2018 USABA Goalball National Championships. Turnstone, home to the U.S. Goalball Center of Excellence hosted the tournament for the third consecutive year. At the end of round robin games, Cyclones led Pool A with a 2-0-1 record, Crown led Pool B with three wins, MWABA Eagles led Pool C with four wins, and New Jersey Thunder led Pool D with four wins. MWABA Eagles met Crown in quarterfinals where Crown prevailed 7-4 and advanced to semifinals with New York Knights. The Crown prevailed again in semifinals beating the Knights 11-2. On the other side of the men’s bracket, Goonsquad beat Cyclone to advance to semifinals against Michigan Omega who beat New Jersey Thunder in quarterfinals. Michigan Omega earned bronze in their final game against New York Knights. Dennis noted hard work and preparation as the top reasons for her team’s win in an interview with the local newspaper, Journal Gazette. Congratulations to all teams, athletes and coaches the competed this weekend and THANK YOU to all of the volunteers and staff that made this tournament run so smoothly!